In an interview yesterday that was published through Bloomberg, Jean-Claude Biver, the CEO of luxury smartwatch maker TAG Heuer, said that his company was getting ready to make a smartwatch by partnering with folks in Silicon Valley. This morning, those folks in Silicon Valley have been confirmed as Google and Intel. 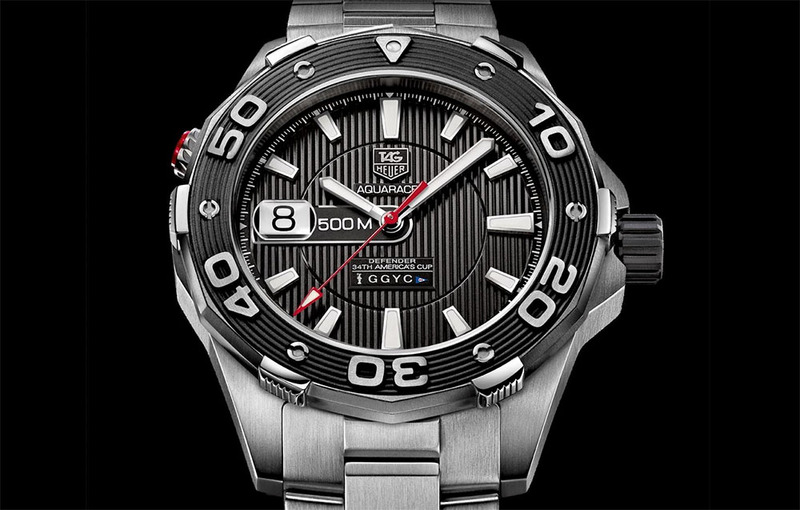 TAG Heuer, in partnership with Google and Intel, will make a Swiss smartwatch in 2015 that will be distributed worldwide. During a quick press event at the TAG Heuer booth at Baselworld, Biver was joined by David Singleton, director of engineering for Android Wear, and Michael Bell, corporate VP and GM of Intel’s new devices group, to talk about their plans. The goal, generally speaking, is to create a product that is “both luxurious and seamlessly connected to its wearer’s daily life.” TAG Heuer will design and manufacture the watch, which will “reflect the TAG Heuer heritage of Swiss design and quality,” while Intel will provide the SoC and Google will outfit it with Android Wear. In other words, you are getting a Swiss-made TAG watch, but it will have Android Wear baked in…somehow. No price was mentioned, obviously, but TAG Heuer watches start at around $1,000 and go up to the multi-thousands of dollars. We laughed at Apple’s pricing of the Apple Watch, but would you spend thousands on a watch that is actually Swiss-made, yet runs Android Wear? BASEL, Switzerland–(BUSINESS WIRE)–TAG Heuer, Google and Intel have announced a partnership to launch a Swiss smartwatch powered by Intel technology and Android Wear. The effort signifies a new era of collaboration between Swiss watchmakers and Silicon Valley, bringing together each company’s respective expertise in luxury watchmaking, software and hardware. Together, these companies will create a product that is both luxurious and seamlessly connected to its wearer’s daily life—a culmination of innovation, creativity and design from Silicon Valley in California and the Watch Valley in La Chaux-de-Fonds, Switzerland.